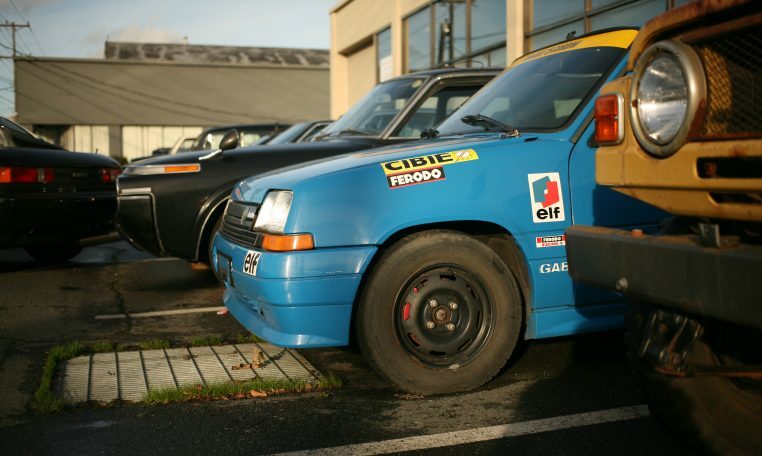 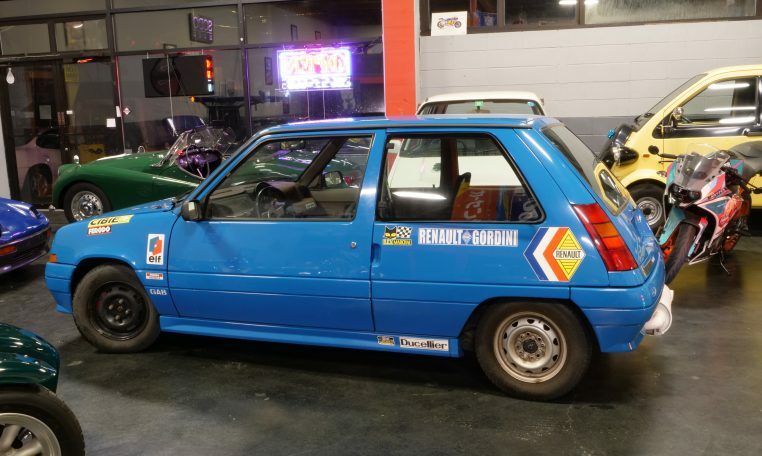 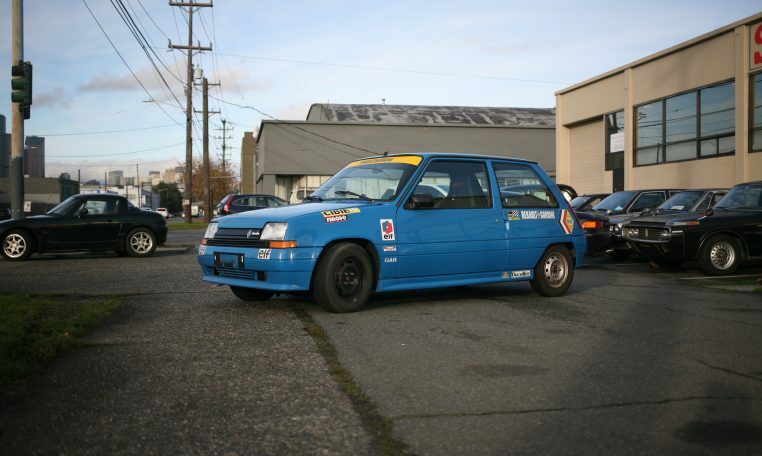 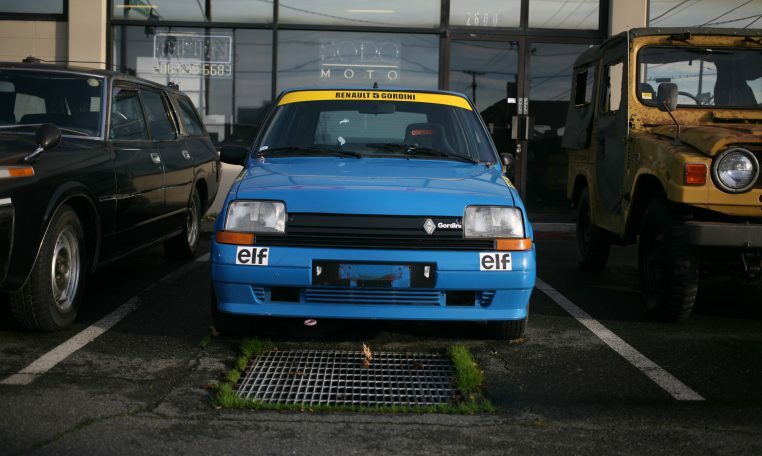 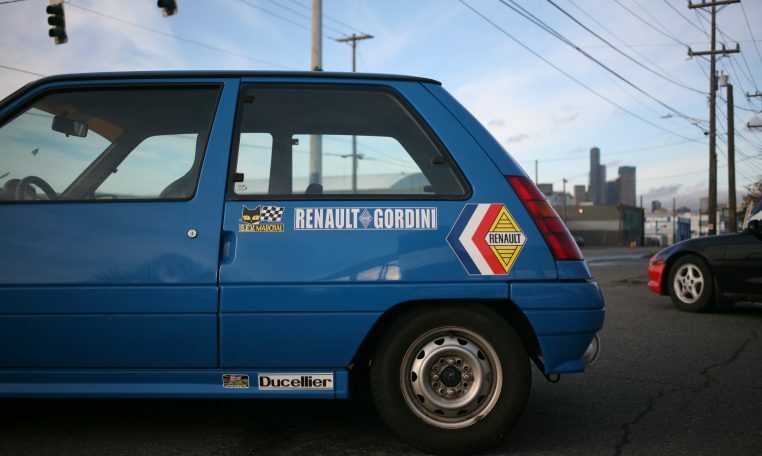 We love hot hatchbacks and we love classic French cars. 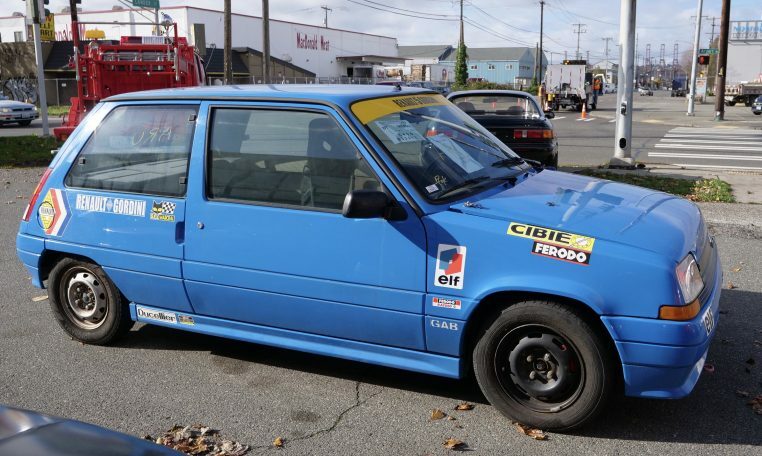 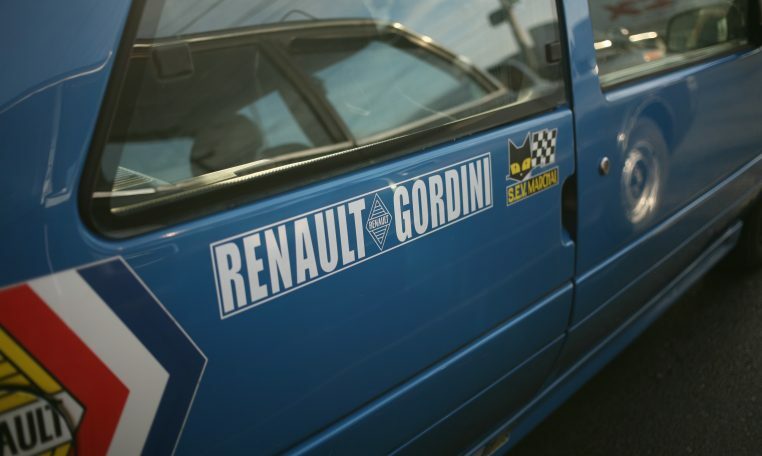 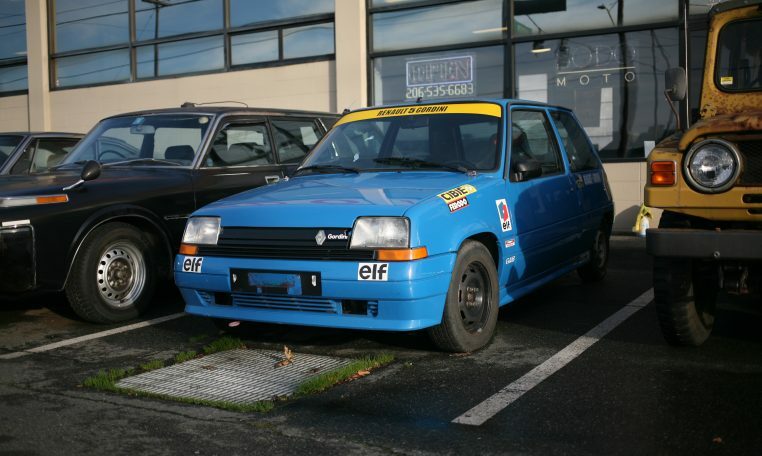 The Renault Super 5 GTX Baccara (Gordini?) 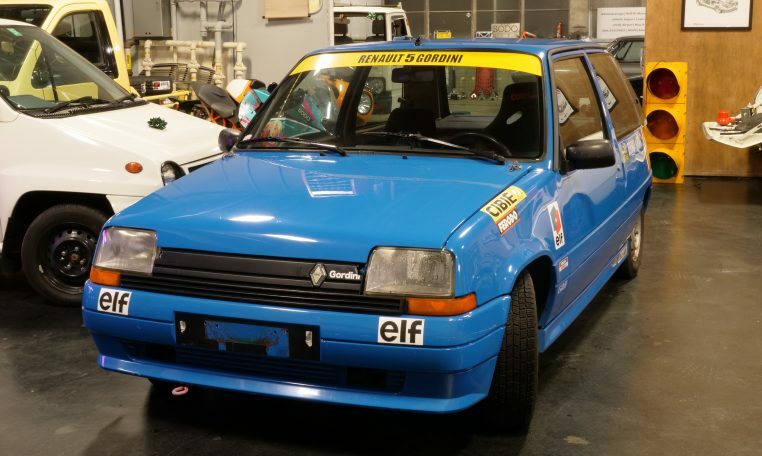 ‘Supercinq’ looks very similar to the R5 Alpine and 5 Gordini turbos – as well as the R5GT Turbo’s we’ve brought in from JAPAN. 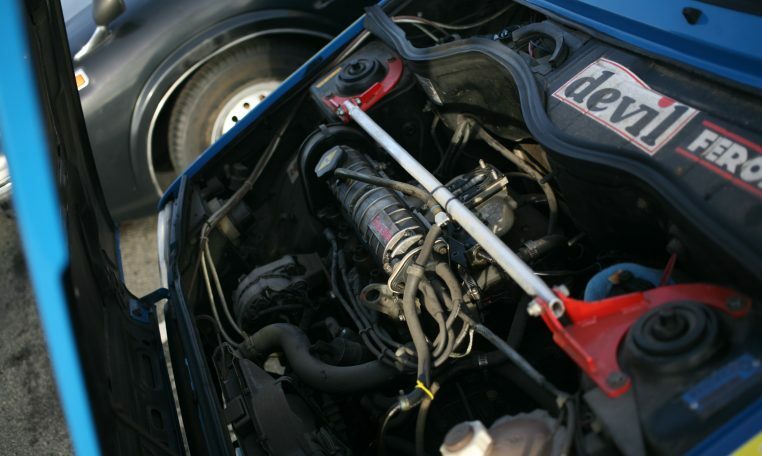 All follow a trusted formula – deliver high performance from minimal inputs. 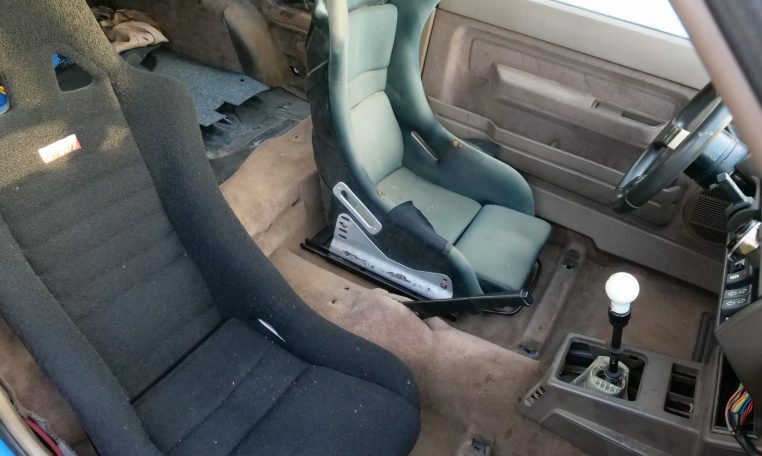 Race buckets and somewhat stripped interior. 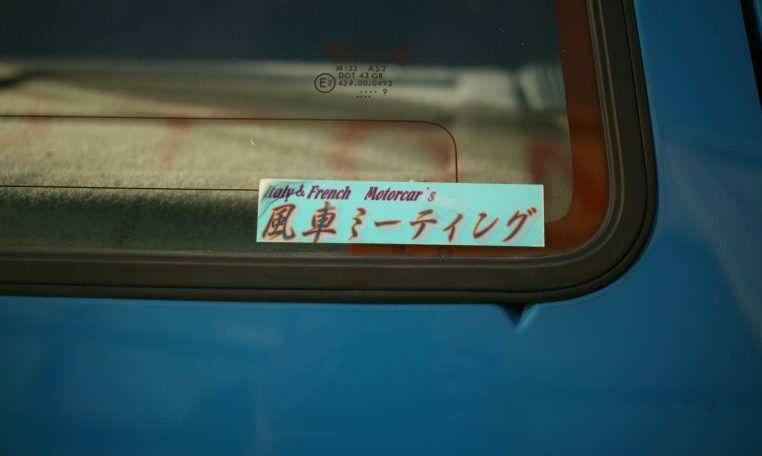 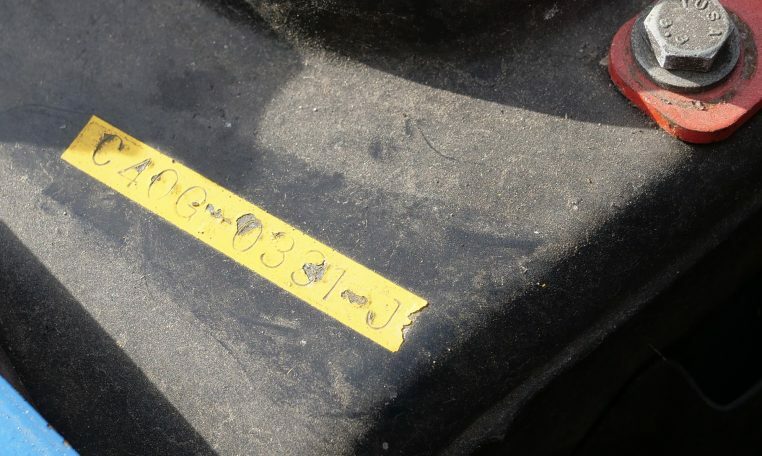 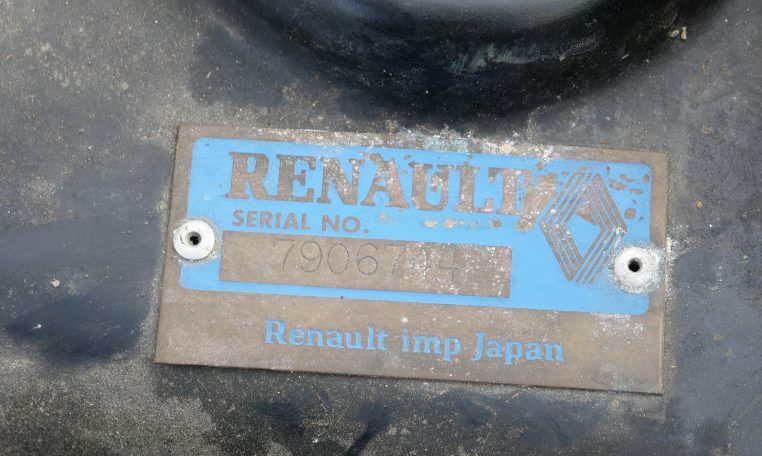 Comes with some spares from a parts-car in Japan – however we received without a Carb. 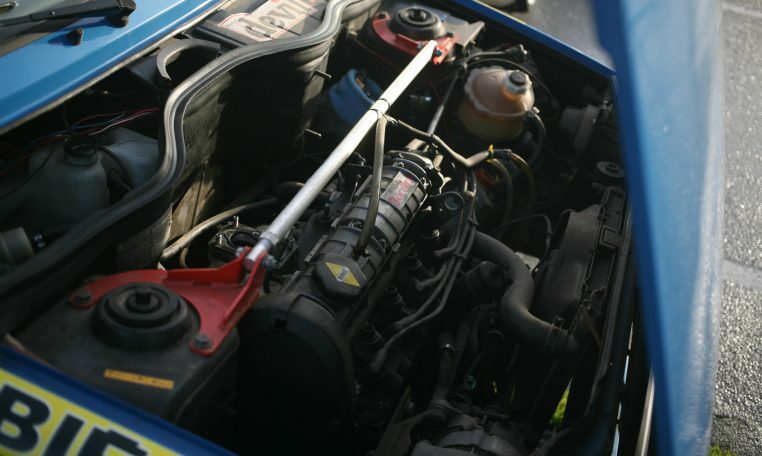 Testing with a dash of fuel down the manifold and it fires right off. 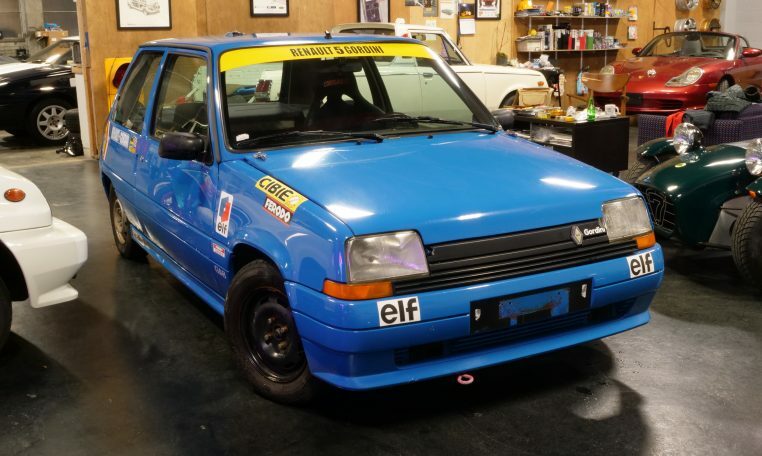 Maybe this is a project you’d like?? 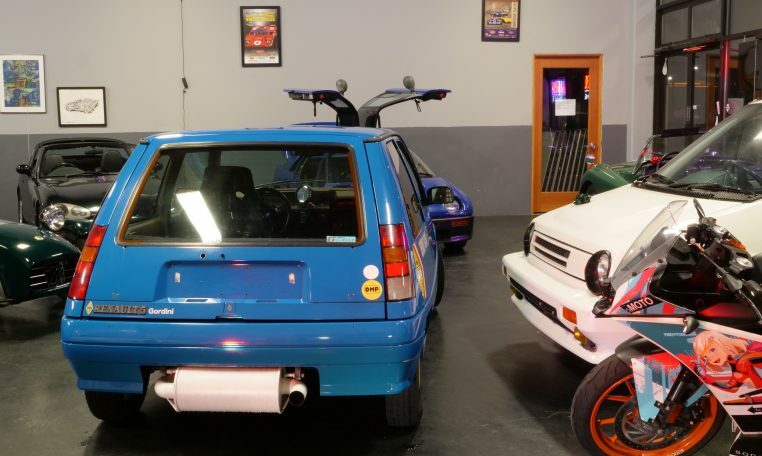 Give us a call. 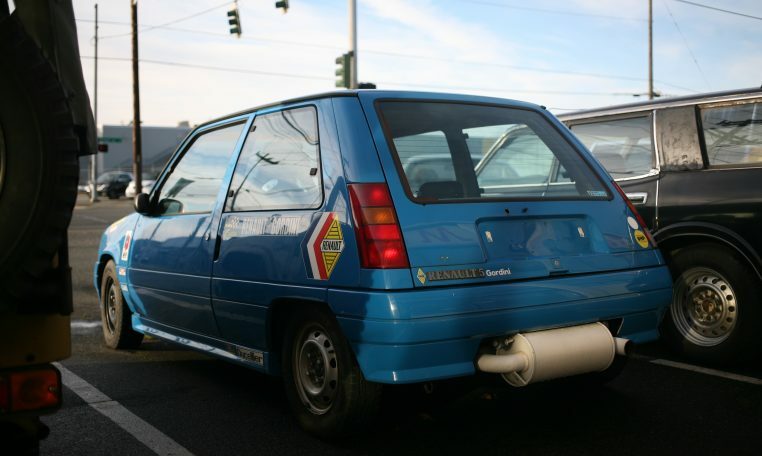 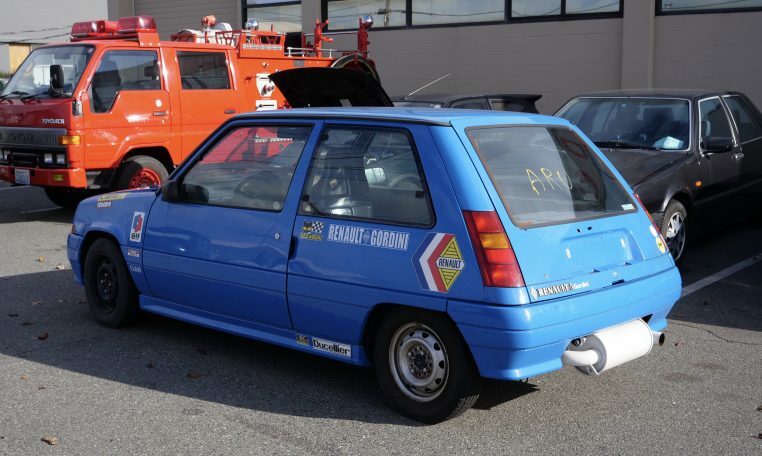 From Wikipedia – A “hot hatch” version, the GT Turbo, was introduced in 1985. 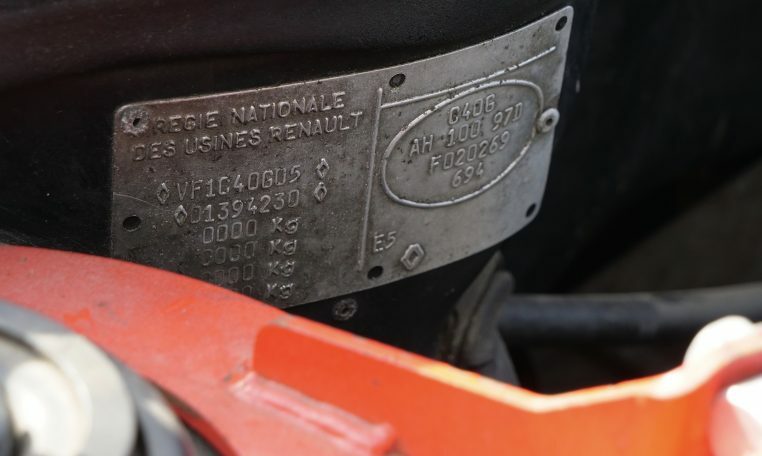 It used a modified four cylinder, eight-valve Cléon 1397 cc engine, a pushrod unit dating back to the 1962 original (in 1108 cc form). 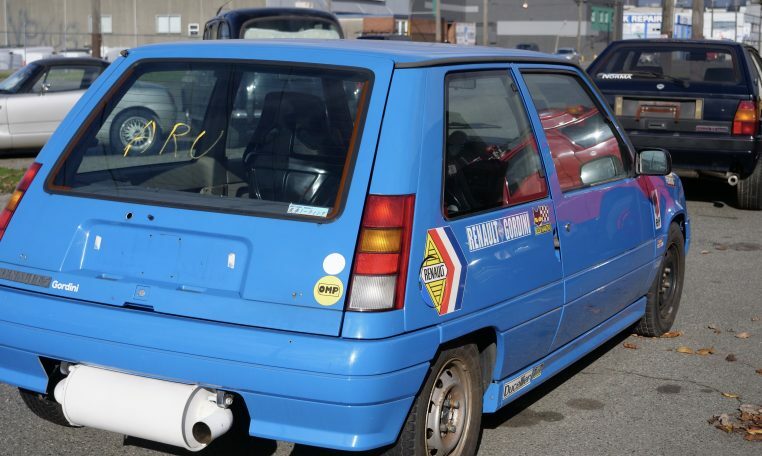 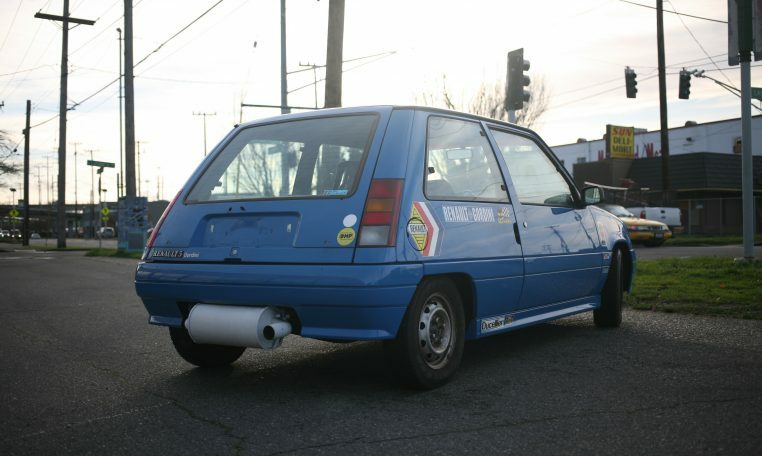 It was turbocharged with an air-cooled Garrett T2 turbocharger. 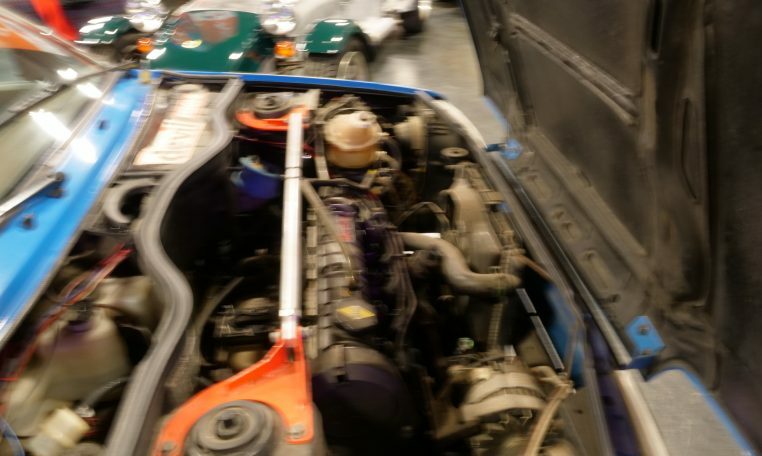 Weighing a mere 850 kg (1,874 lb), and producing 115 PS (85 kW; 113 hp), the GT Turbo had an excellent power-to-weight ratio, permitting it to accelerate from a standstill to 60 mph (97 km/h) in 7.5 seconds. 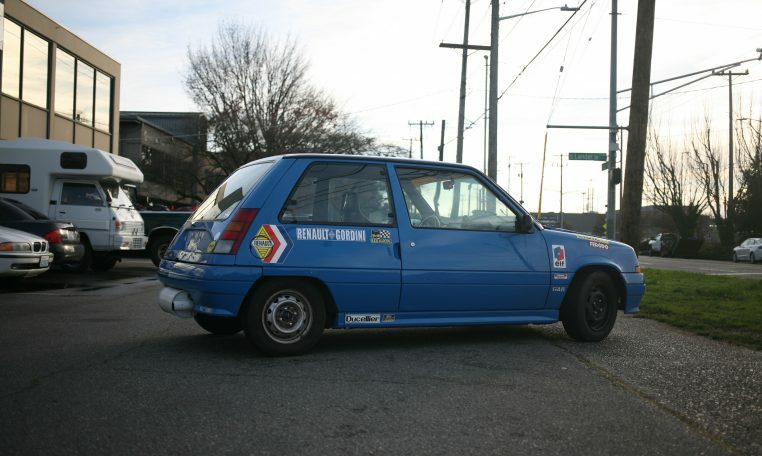 To differentiate it from the standard 5, it came with blocky plastic side skirts. 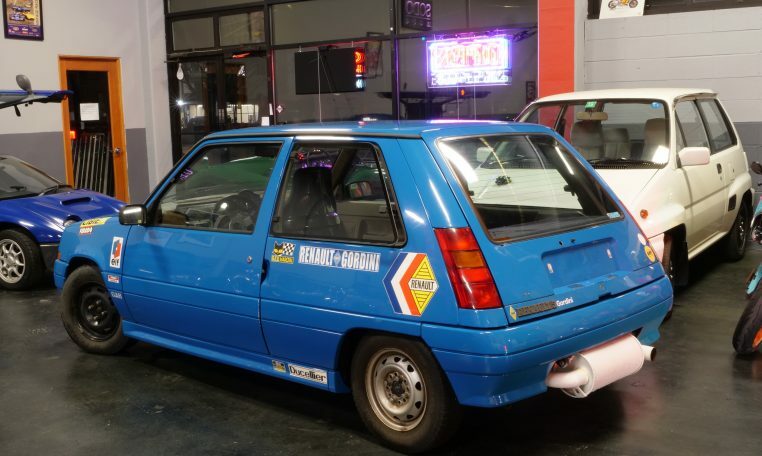 Turbo lag was an issue, along with poor hot starting, and was considered rather difficult to control. 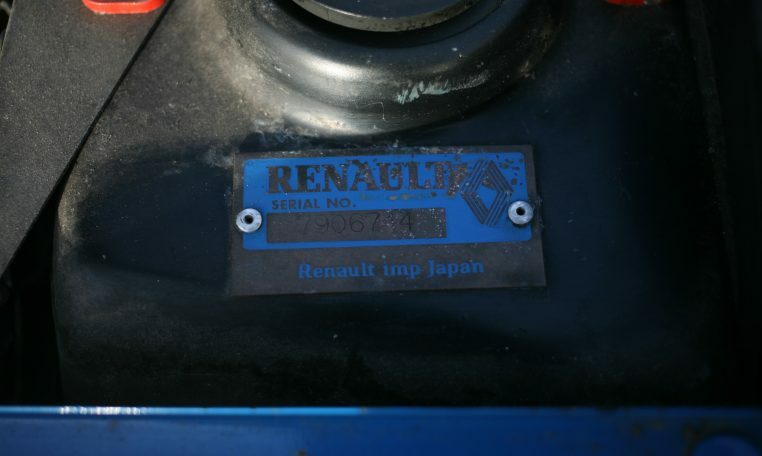 The same engine was used, with similar issues, in the Renault 9 and 11 Turbos. 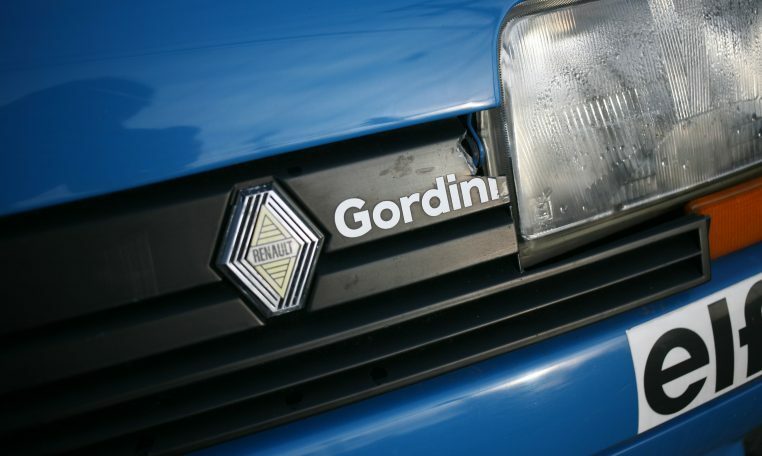 In 1987, the facelifted Phase II was launched. 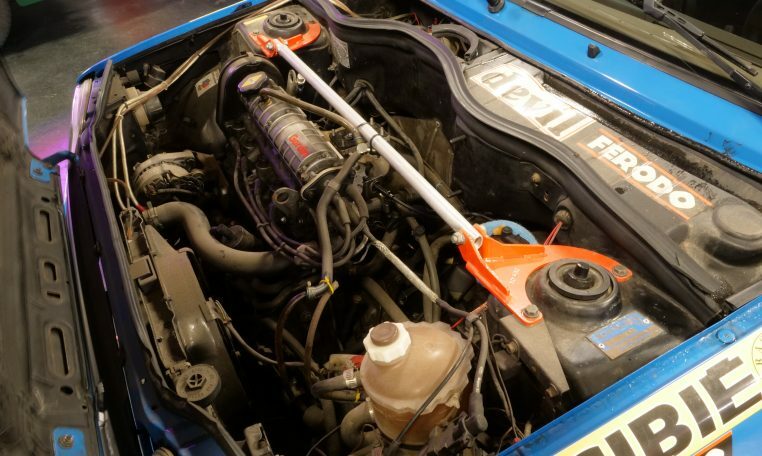 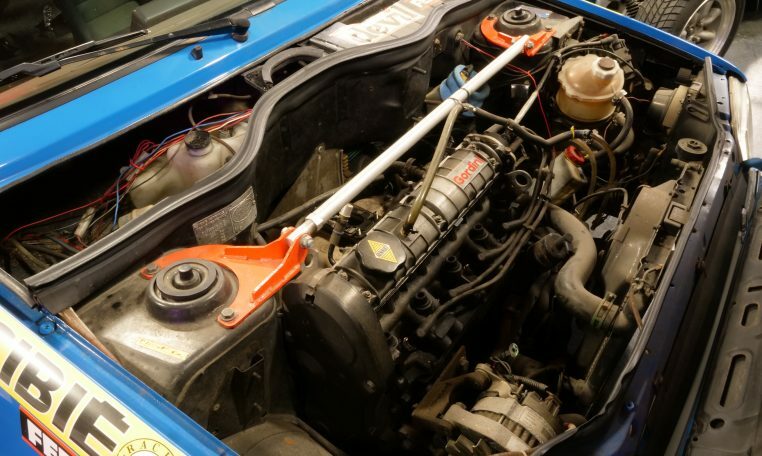 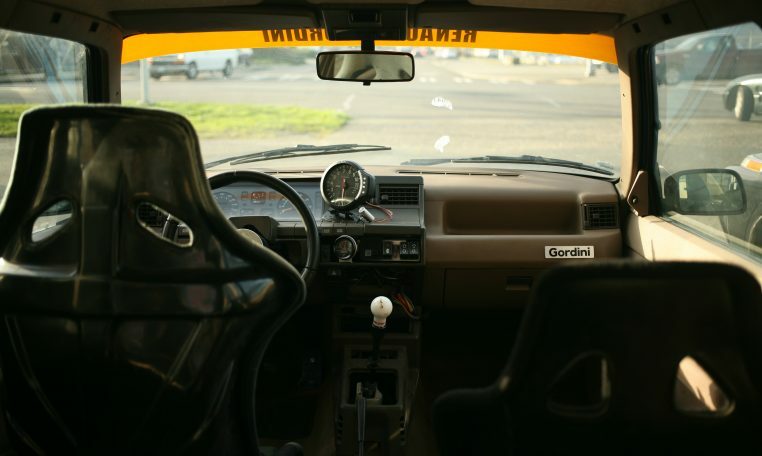 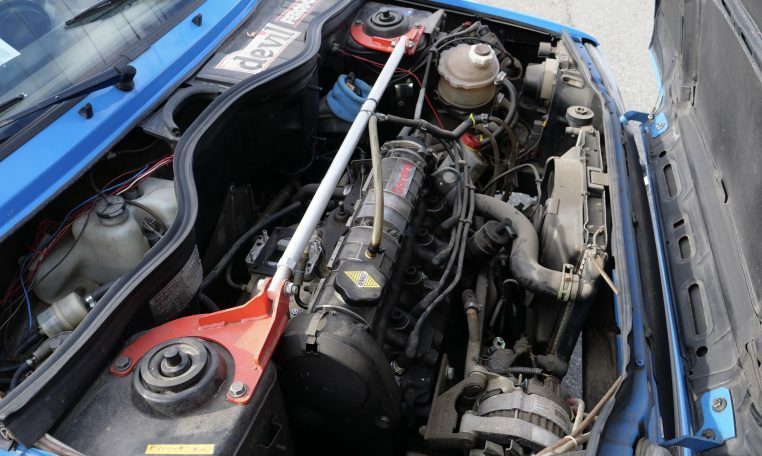 Major changes in the Phase II version included installing watercooling to the turbocharger, aiding the Phase I’s oil-cooled setup, which extended the life of the turbo. 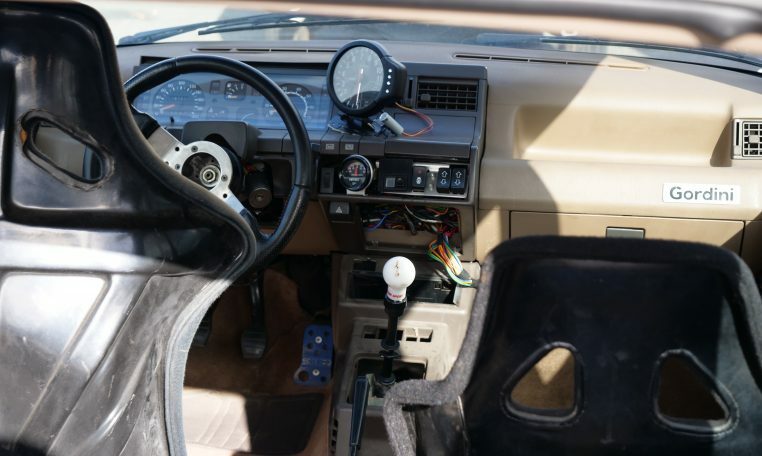 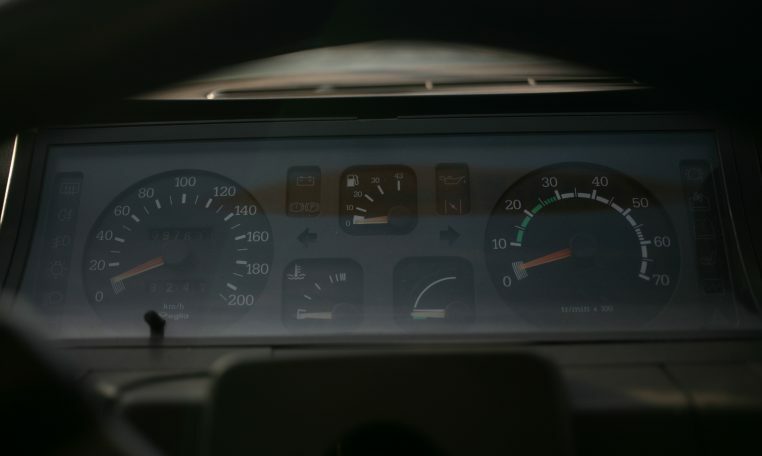 It also received a new ignition system which permitted it to rev 500 rpm higher. 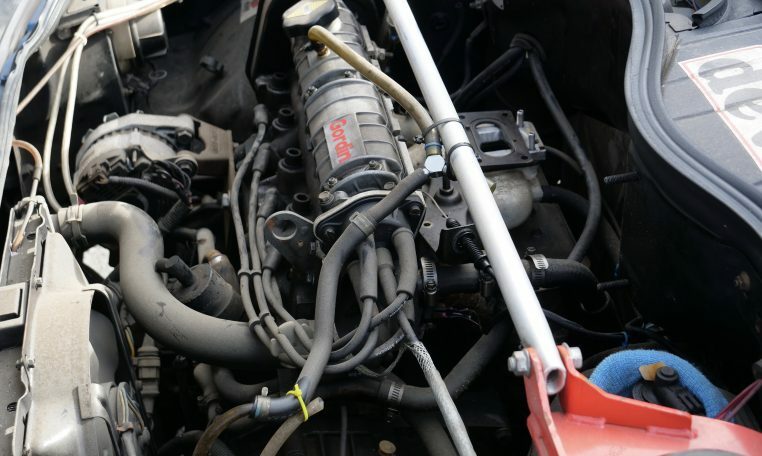 These changes boosted engine output up to over 120 PS (88 kW; 118 hp). 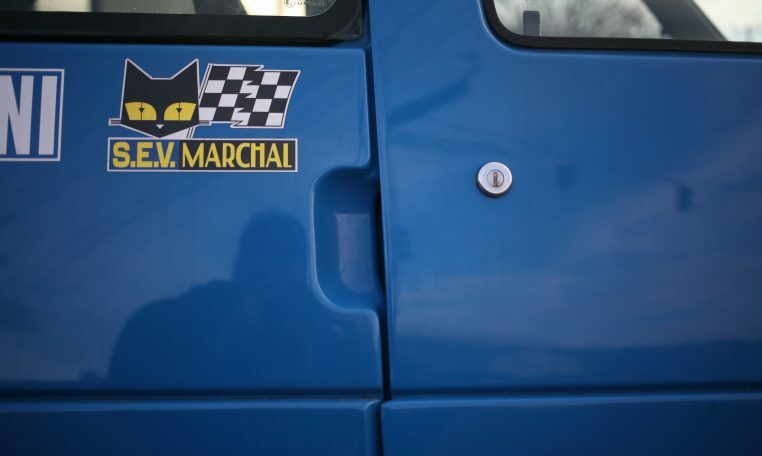 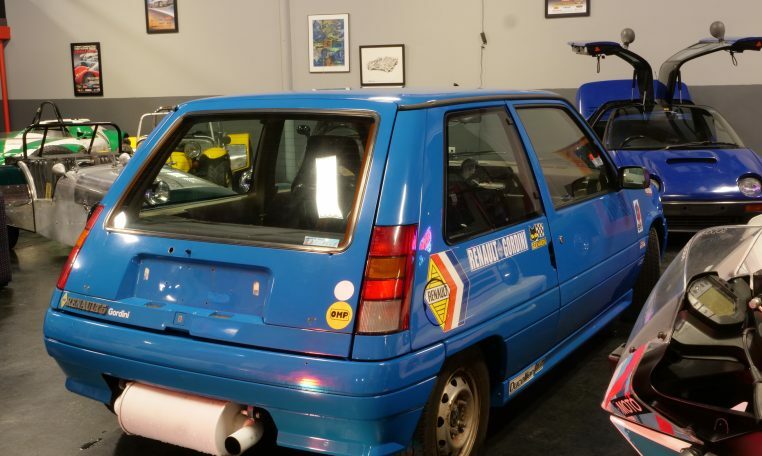 Externally, the car was revamped, with changes (including new bumpers and arches) that reduced the car’s drag coefficient from 0.36 to 0.35. 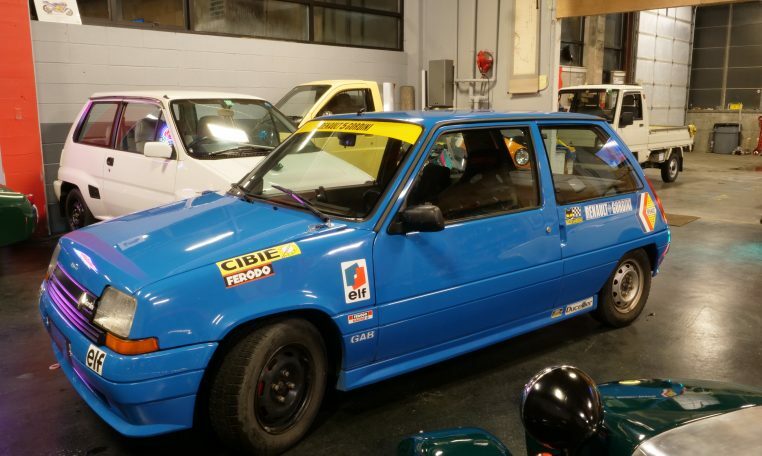 Giving the Phase II a 0–100 km/h time of 7.5 secs. 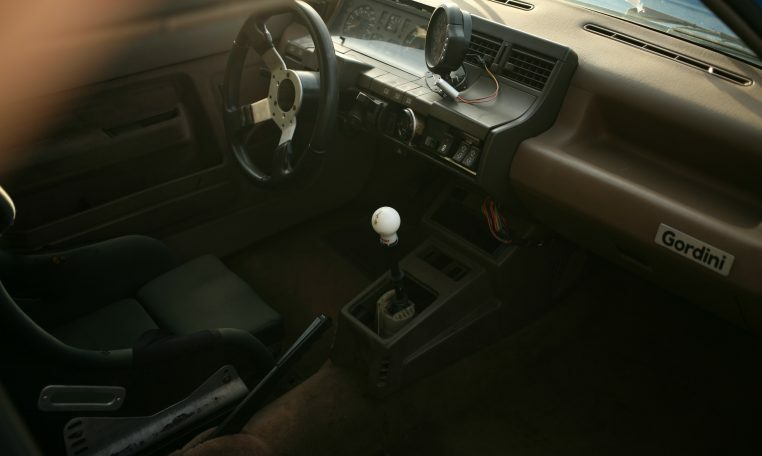 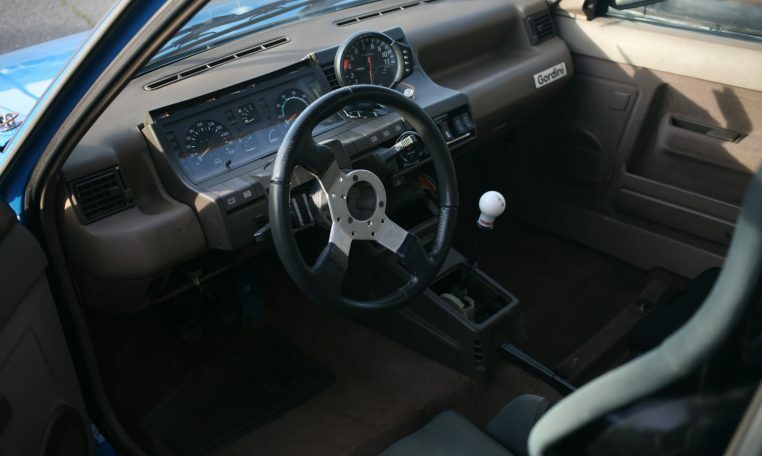 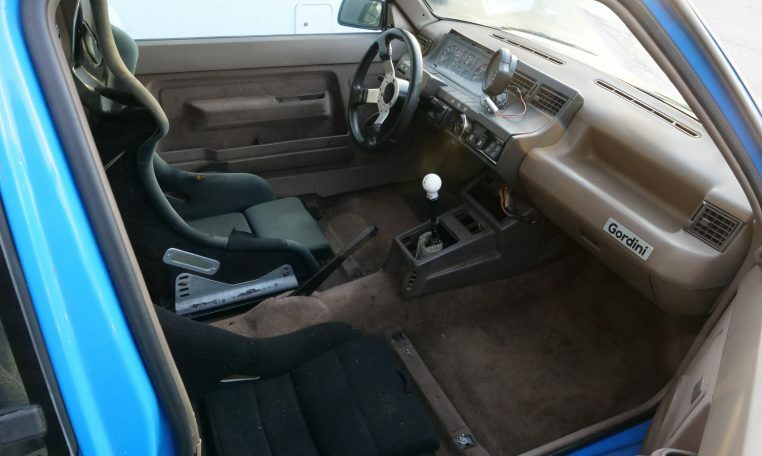 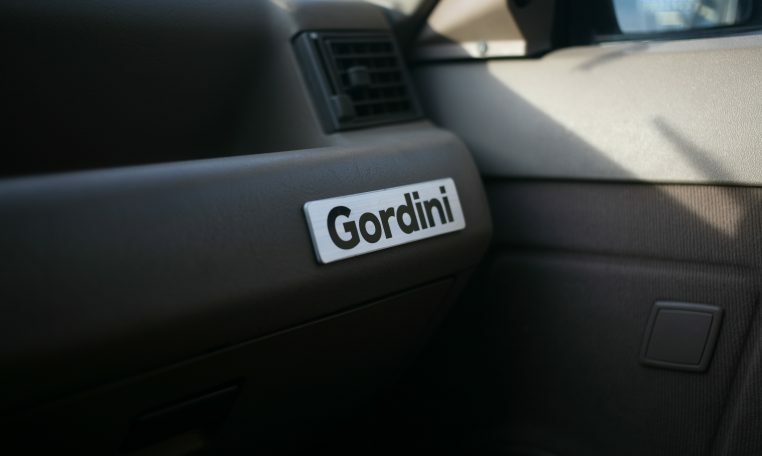 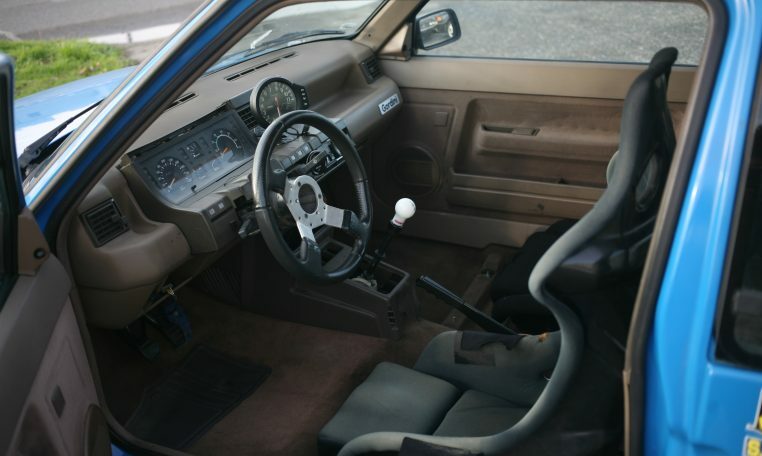 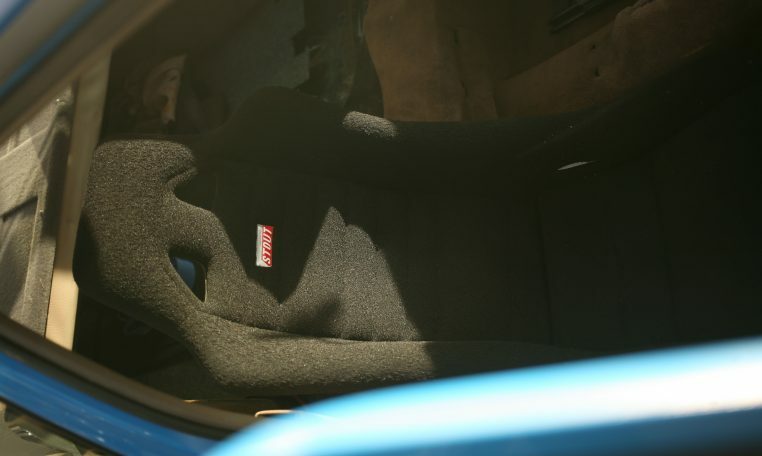 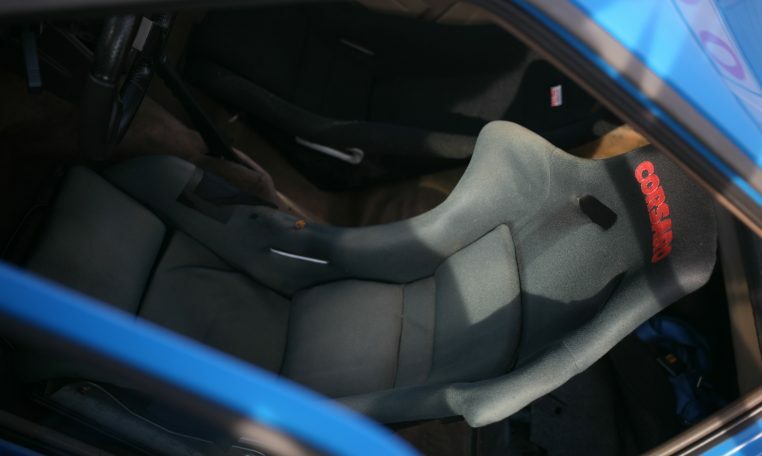 In 1989 the GT Turbo received a new interior, and in 1990 the special edition Raider model (available only in metallic blue, with different interior and wheels) was launched. 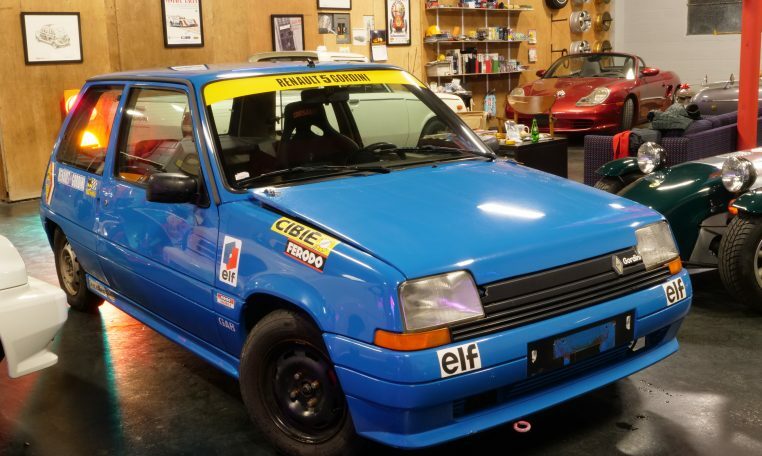 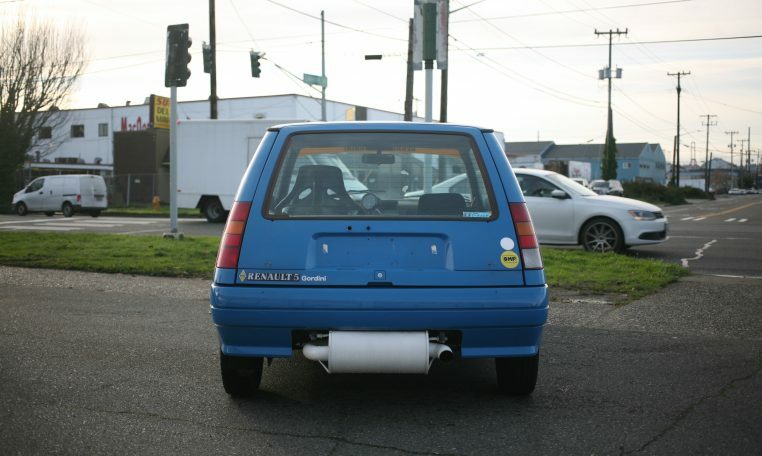 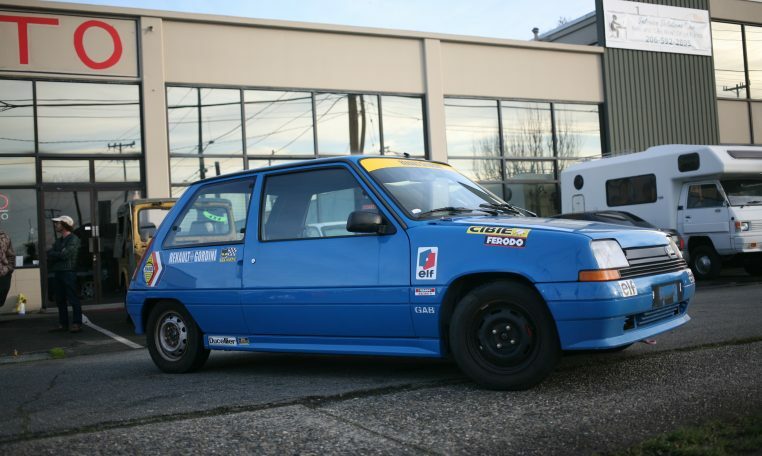 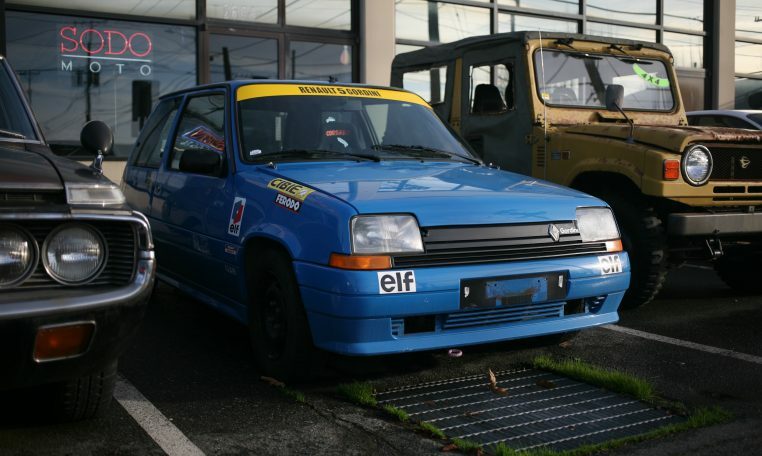 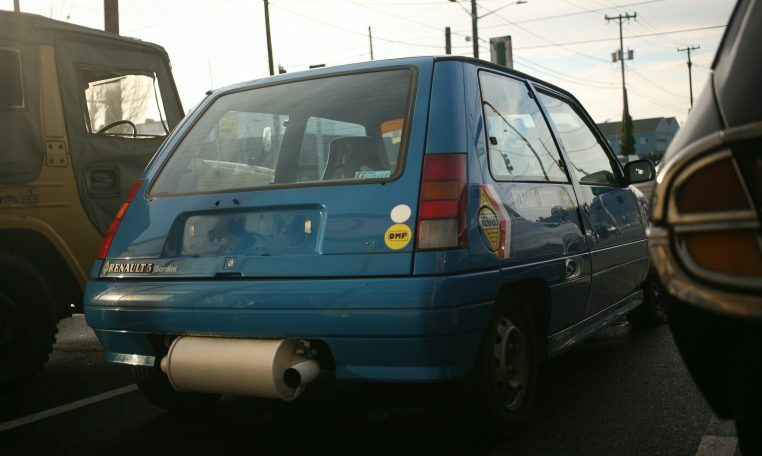 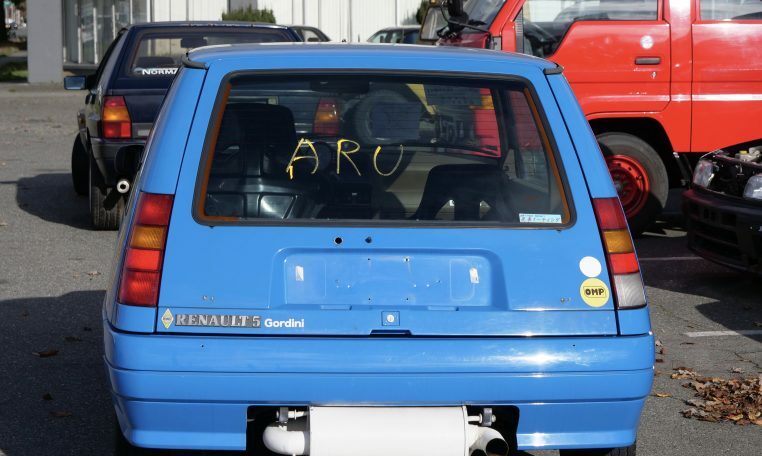 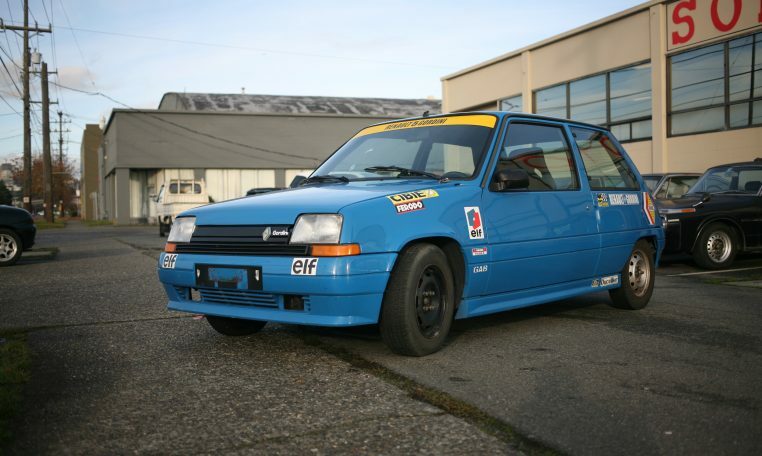 In late 1991 the Renault 5 GT Turbo was discontinued, superseded by the Clio 16v and the Clio Williams. 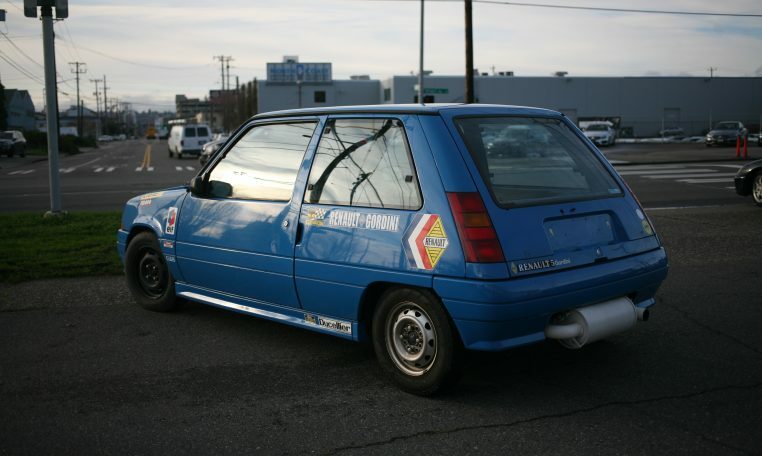 The Renault 5 GT Turbo’s victory in the 1989 Rallye Côte d’Ivoire remains the only overall WRC victory for a Group N car.